The Matchday 2 of this season’s CAF Champions League hold this weekend with Nigeria’s representatives Lobi Stars away to ASEC Mimosas at Stade Félix Houphouët-Boigny in Abidjan on Saturday. This season, ASEC Mimosas have kept clean sheets in four of their five Champions League fixtures and won all two matches on their 45,000 capacity ground located in Le Plateau district of the Ivorien economic capital. Having lost their opening group match 2-5 in Casablanca to Wydad, the Ivorien champions will like to make amends by not conceding ground to their Nigerian guests. ASEC’s only ultimate triumph in this competition was in 1998 when they beat Zimbabwe’s Dynamos FC 4-2 aggregate in the final. Lobi Stars will have to tighten their defence particularly in the first half, the period their hosts had scored in all their home fixtures, and also be on the watch out for Abdoul Tapsoba, ASEC’s goal poacher with two goals in five matches. 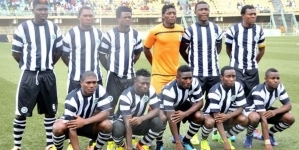 The Pride of Benue, as Lobi Stars are fondly called, started the group campaign on a winning note by dispatching South Africa’s Mamelodi Sundowns 2-1 in Enugu. They will therefore be seeking to consolidate on that stride ahead of their back-to-back matches against group top seed Wydad Casablanca. But ASEC wouldn’t like to suffer yet another defeat so soon. “We know ASEC are a very good side and we can’t judge them with the loss against Wydad,” Lobi Stars’ new recruit from Enyimba, Oluwadamilare Ojo told CAFOnline.com. The midfielder was the man-of-the match against Mamelodi Sundowns. 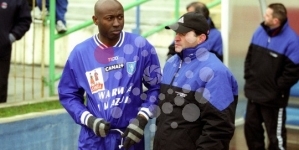 Lobi will hope that Sikiru Alimi will be in his elements. He converted three of the team’s seven goals in the campaign. They will however miss the services of John Lawrence who will be serving a two-match suspension as a result of his involvement in an incident last December in Kenya when Lobi Stars faced Gor Mahia. 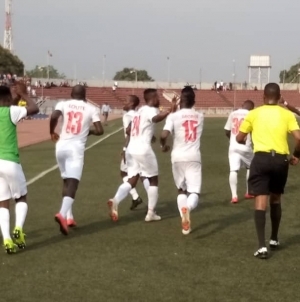 CAF Disciplinary Council also fined Lobi Stars $1,500 for the player’s action and pitch invasion as well as crowd incitement. Coach Solomon Ogbeide believes his squad can change their underdog status in the competition. “We haven’t won anything yet but we can now build on the victory against Mamelodi Sundowns to focus on the game against ASEC. “We have a good spirit; and remains positive going for the game, and we are going to take the game to them in Abidjan,” Ogbeide assured. Saturday’s game will be the first time ASEC Mimosas and Lobi Stars will be playing in all competitions. In the other fixture of the group, Mamelodi Sundowns play host to Wydad Casablanca at the Lucas ‘Masterpieces’ Moripe Stadium in Pretoria, also on Saturday. In the Confederation Cup, Rangers have their date on Sunday against Lesotho’s Bantu FC, who they beat away 2-1 in the first leg. 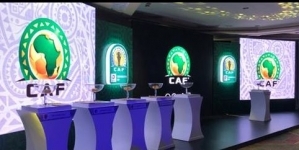 The Flying Antelopes will be expected to finish the job at home to qualify for the group stage where 16 teams will be paired into four sections.